Last March, Tony Schmidt discovered something unsettling about the machine that helps him breathe at night. Without his knowledge, it was spying on him. From his bedside, the device was tracking when he was using it and sending the information not just to his doctor, but to the maker of the machine, to the medical supply company that provided it and to his health insurer. 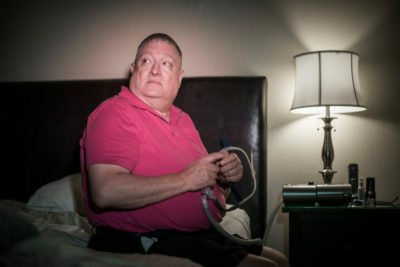 Schmidt, 59, has sleep apnea, a disorder that causes worrisome breaks in his breathing at night. Like millions of people, he relies on a continuous positive airway pressure, or CPAP, machine that streams warm air into his nose while he sleeps, keeping his airway open. Without it, Schmidt would wake up hundreds of times a night; then, during the day, he’d nod off at work, sometimes while driving and even as he sat on the toilet. “I couldn’t keep a job,” he said. “I couldn’t stay awake.” The CPAP, he said, saved his career, maybe even his life. As many CPAP users discover, the life-altering device comes with caveats: Health insurance companies are often tracking whether patients use them. If they aren’t, the insurers might not cover the machines or the supplies that go with them. In fact, faced with the popularity of CPAPs, which can cost $400 to $800, and their need for replacement filters, face masks and hoses, health insurers have deployed a host of tactics that can make the therapy more expensive or even price it out of reach. Patients have been required to rent CPAPs at rates that total much more than the retail price of the devices, or they’ve discovered that the supplies would be substantially cheaper if they didn’t have insurance at all. Experts who study health care costs say insurers’ CPAP strategies are part of the industry’s playbook of shifting the costs of widely used therapies, devices and tests to unsuspecting patients. Insurers say their concerns are legitimate. The masks and hoses can be cumbersome and noisy, and studies show that about third of patients don’t use their CPAPs as directed. But the companies’ practices have spawned lawsuits and concerns by some doctors who say that policies that restrict access to the machines could have serious, or even deadly, consequences for patients with severe conditions. And privacy experts worry that data collected by insurers could be used to discriminate against patients or raise their costs. Schmidt’s privacy concerns began the day after he registered his new CPAP unit with ResMed, its manufacturer. He opted out of receiving any further information. But he had barely wiped the sleep out of his eyes the next morning when a peppy email arrived in his inbox. It was ResMed, praising him for completing his first night of therapy. “Congratulations! You’ve earned yourself a badge!” the email said. Then came this exchange with his supply company, Medigy: Schmidt had emailed the company to praise the “professional, kind, efficient and competent” technician who set up the device. A Medigy representative wrote back, thanking him, then adding that Schmidt’s machine “is doing a great job keeping your airway open.” A report detailing Schmidt’s usage was attached. Alarmed, Schmidt complained to Medigy and learned his data was also being shared with his insurer, Blue Cross Blue Shield. 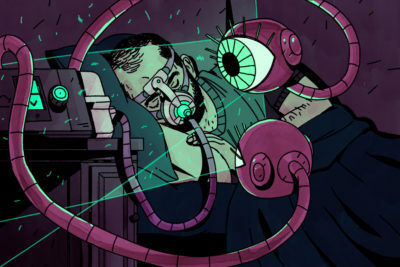 He’d known his old machine had tracked his sleep because he’d taken its removable data card to his doctor. But this new invasion of privacy felt different. Was the data encrypted to protect his privacy as it was transmitted? What else were they doing with his personal information? He filed complaints with the Better Business Bureau and the federal government to no avail. “My doctor is the ONLY one that has permission to have my data,” he wrote in one complaint. In an email, a Blue Cross Blue Shield spokesperson said that it’s standard practice for insurers to monitor sleep apnea patients and deny payment if they aren’t using the machine. And privacy experts said that sharing the data with insurance companies is allowed under federal privacy laws. A ResMed representative said once patients have given consent, it may share the data it gathers, which is encrypted, with the patients’ doctors, insurers and supply companies. Schmidt returned the new CPAP machine and went back to a model that allowed him to use a removable data card. His doctor can verify his compliance, he said. Luke Petty, the operations manager for Medigy, said a lot of CPAP users direct their ire at companies like his. The complaints online number in the thousands. But insurance companies set the prices and make the rules, he said, and suppliers follow them, so they can get paid. “Every year it’s a new hurdle, a new trick, a new game for the patients,” Petty said. The American Sleep Apnea Association estimates about 22 million Americans have sleep apnea, although it’s often not diagnosed. The number of people seeking treatment has grown along with awareness of the disorder. It’s a potentially serious disorder that left untreated can lead to risks for heart disease, diabetes, cancer and cognitive disorders. 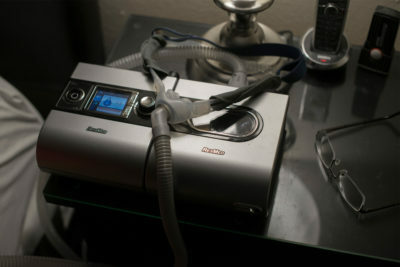 CPAP is one of the only treatments that works for many patients. Exact numbers are hard to come by, but ResMed, the leading device maker, said it’s monitoring the CPAP use of millions of patients. Sleep apnea specialists and health care cost experts say insurers have countered the deluge by forcing patients to prove they’re using the treatment. Medicare, the government insurance program for seniors and the disabled, began requiring CPAP “compliance” after a boom in demand. Because of the discomfort of wearing a mask, hooked up to a noisy machine, many patients struggle to adapt to nightly use. Between 2001 and 2009, Medicare payments for individual sleep studies almost quadrupled to $235 million. Many of those studies led to a CPAP prescription. Under Medicare rules, patients must use the CPAP for four hours a night for at least 70 percent of the nights in any 30-day period within three months of getting the device. Medicare requires doctors to document the adherence and effectiveness of the therapy. Sleep apnea experts deemed Medicare’s requirements arbitrary. But private insurers soon adopted similar rules, verifying usage with data from patients’ machines — with or without their knowledge. Kristine Grow, spokeswoman for the trade association America’s Health Insurance Plans, said monitoring CPAP use is important because if patients aren’t using the machines, a less expensive therapy might be a smarter option. Monitoring patients also helps insurance companies advise doctors about the best treatment for patients, she said. When asked why insurers don’t just rely on doctors to verify compliance, Grow said she didn’t know. Many insurers also require patients to rack up monthly rental fees rather than simply pay for a CPAP. Dr. Ofer Jacobowitz, a sleep apnea expert at ENT and Allergy Associates and assistant professor at The Mount Sinai Hospital in New York, said his patients often pay rental fees for a year or longer before meeting the prices insurers set for their CPAPs. 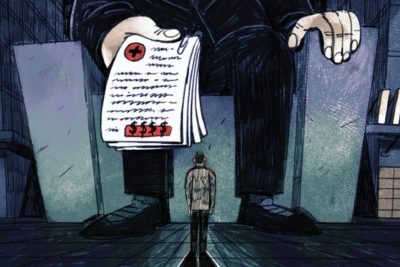 But since patients’ deductibles — the amount they must pay before insurance kicks in — reset at the beginning of each year, they may end up covering the entire cost of the rental for much of that time, he said. The rental fees can surpass the retail cost of the machine, patients and doctors say. Alan Levy, an attorney who lives in Rahway, New Jersey, bought an individual insurance plan through the now-defunct Health Republic Insurance of New Jersey in 2015. When his doctor prescribed a CPAP, the company that supplied his device, At Home Medical, told him he needed to rent the device for $104 a month for 15 months. The company told him the cost of the CPAP was $2,400. Levy said he wouldn’t have worried about the cost if his insurance had paid it. But Levy’s plan required him to reach a $5,000 deductible before his insurance plan paid a dime. So Levy looked online and discovered the machine actually cost about $500. Levy said he called At Home Medical to ask if he could avoid the rental fee and pay $500 up front for the machine, and a company representative said no. “I’m being overcharged simply because I have insurance,” Levy recalled protesting. Levy refused to pay the rental fees. “At no point did I ever agree to enter into a monthly rental subscription,” he wrote in a letter disputing the charges. He asked for documentation supporting the cost. The company responded that he was being billed under the provisions of his insurance carrier. Levy’s law practice focuses, ironically, on defending insurance companies in personal injury cases. So he sued At Home Medical, accusing the company of violating the New Jersey Consumer Fraud Act. Levy didn’t expect the case to go to trial. “I knew they were going to have to spend thousands of dollars on attorney’s fees to defend a claim worth hundreds of dollars,” he said. Sure enough, At Home Medical, agreed to allow Levy to pay $600 — still more than the retail cost — for the machine. The company declined to comment on the case. Suppliers said that Levy’s case is extreme, but acknowledged that patients’ rental fees often add up to more than the device is worth. Levy said that he was happy to abide by the terms of his plan, but that didn’t mean the insurance company could charge him an unfair price. “If the machine’s worth $500, no matter what the plan says, or the medical device company says, they shouldn’t be charging many times that price,” he said. Dr. Douglas Kirsch, president of the American Academy of Sleep Medicine, said high rental fees aren’t the only problem. Patients can also get better deals on CPAP filters, hoses, masks and other supplies when they don’t use insurance, he said. Cigna, one of the largest health insurers in the country, currently faces a class-action suit in U.S. District Court in Connecticut over its billing practices, including for CPAP supplies. One of the plaintiffs, Jeffrey Neufeld, who lives in Connecticut, contends that Cigna directed him to order his supplies through a middleman who jacked up the prices. Neufeld declined to comment for this story. But his attorney, Robert Izard, said Cigna contracted with a company called CareCentrix, which coordinates a network of suppliers for the insurer. Neufeld decided to contact his supplier directly to find out what it had been paid for his supplies and compare that to what he was being charged. He discovered that he was paying substantially more than the supplier said the products were worth. For instance, Neufeld owed $25.68 for a disposable filter under his Cigna plan, while the supplier was paid $7.50. He owed $147.78 for a face mask through his Cigna plan while the supplier was paid $95. ProPublica found all the CPAP supplies billed to Neufeld online at even lower prices than those the supplier had been paid. Longtime CPAP users say it’s well known that supplies are cheaper when they are purchased without insurance. Neufeld’s cost “should have been based on the lower amount charged by the actual provider, not the marked-up bill from the middleman,” Izard said. Patients covered by other insurance companies may have fallen victim to similar markups, he said. Cigna would not comment on the case. But in documents filed in the suit, it denied misrepresenting costs or overcharging Neufeld. The supply company did not return calls for comment. In a statement, Stephen Wogen, CareCentrix’s chief growth officer, said insurers may agree to pay higher prices for some services, while negotiating lower prices for others, to achieve better overall value. For this reason, he said, isolating select prices doesn’t reflect the overall value of the company’s services. CareCentrix declined to comment on Neufeld’s allegations. Izard said Cigna and CareCentrix benefit from such behind-the-scenes deals by shifting the extra costs to patients, who often end up covering the marked-up prices out of their deductibles. And even once their insurance kicks in, the amount the patients must pay will be much higher. The ubiquity of CPAP insurance concerns struck home during the reporting of this story, when a ProPublica colleague discovered how his insurer was using his data against him. Sleep Aid or Surveillance Device? In September, his doctor prescribed a new mask and airflow setting for his machine. Advanced Oxy-Med Services, the medical supply company approved by his insurer, sent him a modem that he plugged into his machine, giving the company the ability to change the settings remotely if needed. Umansky’s new modem had been beaming his personal data from his Brooklyn bedroom to the Newburgh, New York-based supply company, which, in turn, forwarded the information to his insurance company, UnitedHealthcare. Umansky was bewildered. He hadn’t been using the machine all night because he needed a new mask. But his insurance company wouldn’t pay for the new mask until he proved he was using the machine all night — even though, in his case, he, not the insurance company, is the owner of the device. 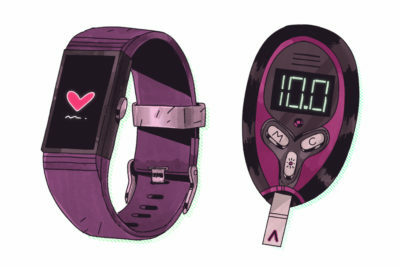 Privacy experts said such concerns are likely to grow as a host of devices now gather data about patients, including insertable heart monitors and blood glucose meters, as well as Fitbits, Apple Watches and other lifestyle applications. Privacy laws have lagged behind this new technology, and patients may be surprised to learn how little control they have over how the data is used or with whom it is shared, said Pam Dixon, executive director of the World Privacy Forum. UnitedHealthcare said in a statement that it only uses the data from CPAPs to verify patients are using the machines. Lawrence, the owner of Advanced Oxy-Med Services, conceded that his company should have told Umansky his CPAP use would be monitored for compliance, but it had to follow the insurers’ rules to get paid. As for Umansky, it’s now been two months since his doctor prescribed him a new airflow setting for his CPAP machine. The supply company has been paying close attention to his usage, Umansky said, but it still hasn’t updated the setting. This story is part of an ongoing series from ProPublica and NPR called The Health Insurance Hustle. Are you an insurance industry insider who has an idea for our investigation? Please share a tip to help guide our reporting.